With a focus on design productivity and usability, STHENO/PRO boasts a new UI and many functional enhancements to further speed up intelligent 2D drafting and editing in a Pro/ENGINEER environment. Cambridge, UK and Pittsford, NY – 11 August 2010: CAD Schroer today announced the release of version 5.0 of STHENO/PRO. From advanced DXF/DWG integration and editing to the creation of automated drawing routines, the powerful drafting system fits the bill in any Pro/ENGINEER-centric company needing to integrate, edit, generate or maintain 2D drawings. 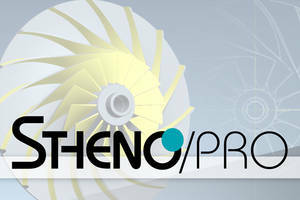 Intelligent tools to speed up and even completely automate design processes have long been a hallmark of CAD Schroer’s software, and the newest version of STHENO/PRO is no exception. Administrators now have even more control over the information content of individual drawings. New dimensioning options provide enhanced usability and greater flexibility. Parts lists can now be generated more easily from several drawings. In addition, the STHENO/PARTS™ standard CAD parts library has been revised and updated in line with industry developments. STHENO/PRO is a productivity add-on, allowing Pro/ENGINEER users to switch seamlessly between their 3D and the STHENO/PRO 2D environments. Drafting power tools cut design editing times and enable engineers to quickly add non model-related information to Pro/DETAIL sheets, then control all the data within their existing Pro/ENGINEER and data management environments. STHENO/PRO version 5.0 sees further enhancements to the processing of colour raster data, increasing speed and flexibility when it comes to presenting external images. 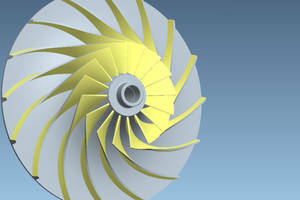 New DXF and DWG import and export options ensure easy integration of external CAD data. 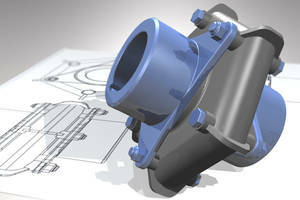 CAD Schroer, a PTC® development partner and global engineering solutions provider, provides software and consultancy services that support and automate manufacturers’ unique design processes. A bi-annual release schedule allows the company to react quickly and flexibly to customer requirements.